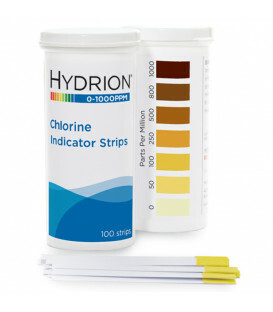 Hydrion CH-1000 Chlorine test strips measure the concentration of free chlorine in water and sanitising/disinfecting solutions.  The colour chart has matches at 0-50-100-250-500-800-1000 ppm. 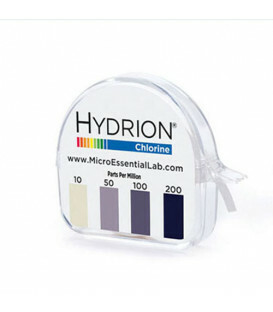 CM-240 Chlorine test paper measures the concentration of free chlorine in water and sanitising/disinfecting solutions with color matches at 10-50-100-200ppm. 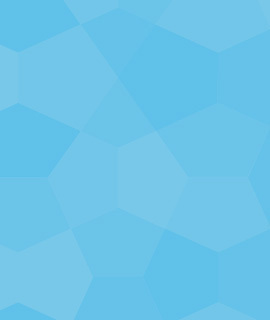 Each kit consists of a 15 ft. x 5/32 in. 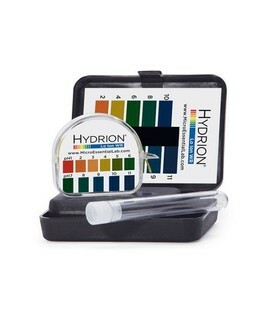 roll of premium test paper in a handy plastic dispenser, with a matching color chart PLUS 1 refill roll of test paper. Approx 200 Tests per kit.